Evelyn Tadros has achieved so much in such a short time. Just a few years ago in 2006, she founded the Human Rights Arts and Film Festival in Melbourne and since then it has expanded to include a national tour and more recently, a Schools and Community Program that provides events year round for schools, communities and corporate groups. She is also in her third year as a festival ambassador for the Melbourne Festival, which this year is running on the 11th- 27th October in Melbourne. 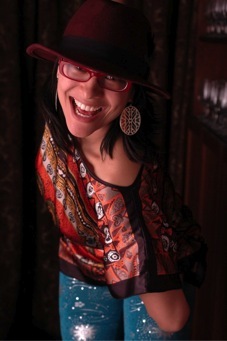 Tadros’ role with the Melbourne Festival is to ‘encourage people who wouldn’t normally come to the festival to attend.’ She also keeps busy with her role as a radio host on Right Radio, and with performing in West African dance and drum group Wassawumba, as well as dancehall group Jungle City. I had the opportunity to have a quick chat to Evelyn about HRAFF and her role as festival ambassador and discovered that she is not only passionate about her work, but is also an inspiration to those who see something wrong with the world and want to change it – but may not know where to begin. Evelyn spoke to me about her inspiration for starting HRAFF, which it began in Copenhagen, Denmark. She was studying law in Copenhagen and, upon returning home to Australia, found there were intrinsic differences between the ways that Australia and the rest of the Western world dealt with human rights issues. In Australia, she found it difficult to discuss human rights with anyone who wasn’t a law student, whereas in Denmark, human rights was not a ‘politicised subject,’ it was something which had ‘more awareness’ in the broader community. One day, while procrastinating in front of the computer, she decided to search ‘human rights festival’ on Google, and discovered that human rights focused festivals existed all over the world, but not in Australia. Thus began her journey to founding the HRAFF. She then contacted everyone she knew and numerous organisations and companies all across Australia about getting a human rights festival up and running. She was met with an overwhelming response and, fairly quickly, was holding meetings in her house with over 60 people in attendance – all of which were keen to give a helping hand to her inspirational ideas. Now, the festival tours nationally and boasts a wide variety of art, films and talks – a little something for everyone, all with a focus on expanding our knowledge and ideas about human rights in Australia and across the world. Evelyn’s role as a festival ambassador for the Melbourne Festival will keep her even busier in the next few weeks. She states that as an ambassador she is focused on making it possible for the ‘people who live here to feel that they are represented’ and to encourage people to attend who might find such a festival ‘overwhelming … and not part of their annual event.’ The Festival is about nations coming together and creating identity and she has seen this really blossom in the last few years. She has not only been heavily involved with getting her multicultural community in touch with the festival (she is of Egyptian and Malaysian descent) but has also made strong connections with the other ambassadors of the festival. The Festival boasts activities and events across multiple disciplines including dance, theatre, music, visual art, multimedia art and outdoor events. Featuring artists from Australia and around the world, this year Evelyn is very excited as the festival is more diverse than ever and has a great focus on Indigenous art with big name acts such as Gurrumul. If you live in the Melbourne area, be sure to catch the Festival, running from 11th- 27th October. You may even spot Evelyn at one of the events, as she’s planning to attend quite a few! 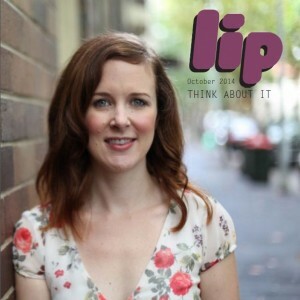 Evelyn faced big challenges in starting the HRAFF – time and money to name a few. However, the overwhelming response from her friends and colleagues and even of those she had not met yet, I think shows a testament to Australia’s changing attitudes surrounding human rights and diversity. There may still be a lot of work to do before we can discuss these issues like they do in Denmark, but with Evelyn’s courageous endeavors lighting up the arts scene, we are sure to be well on our way towards an inclusive Australian way of life. The Melbourne Festival is running between 11-27 October. See the Festival’s website for more information. This entry was posted in Art, Arts, Culture and tagged arts, dance, festival, film, human rights, melbourne, music. Bookmark the permalink.